As we search in barns and forgotten locations across the world for more unique ’67 Beetle stories, sometimes they find us. This time, it comes from Yunus Peer in Hawaii. I am a long time ’67 Beetle enthusiast. I restored a few in my younger years – and as you may know, one never really kicks the addiction. Here’s the latest chapter. After a 20 year layoff, there’s a 67 in our family again. My son found this one close to his home in Orlando – It came from Brazil to Florida and is now on its way to Hawaii. The last pic is of the last 2 we had to sell in NH before we moved back to HI. 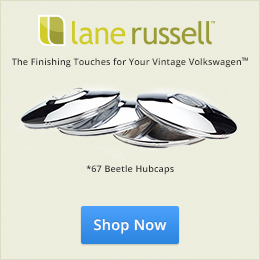 Thanks, Yunus, for sharing your story with 1967beetle.com. It appears that this may be a Euro ’67? Anyone? Hi, it appears to be Euro. Am i seeing the dome shaped hub caps? Are the wheels with 4 or 5 lugs? What is printed on the window glass? Sekurit/delodur or prefix G? Yunus, can help clear these mysteries? I agree Eric. A beauty! I was stationed in Hawaii in ’72-73. The only thing that would have made it better would to have had a 67 VW with me. Glad it found its way home, Yunus. Thanks for sharing! From what I see, it’s a 1966, the body at least. I agree, Looks like a “66. 1300 on deck lid. Brazil could be different, possibly using previous year parts but definitely looks ’66 from this angle, including heavier side trim on body and running boards. Nice car for sure! A good place to start I think would be images of the front and rear chassis numbers! thank you all, for the kind comments. The Bug has landed! in Hawaii – Sadly, the horn button and radio/dash plate went missing en route. The car is registered as a ‘ 67. In Brazil, they used the 58-64 body until 1969/70? Lots of thievery via dockworkers or ships compliment: Stolen from mine on trip from UK was a pair of headrests I had acquired and a small tool box chained to the passenger seat containing some nice items. I still have the chain, only took the box. Took over a year of wrangling with insurance company to pay some dollars. It would be enlightening to know the chassis numbers, in order to determine if the German numbering sequence was maintained, or if Brazil had a distinct numbering system of its own.